Banish the clutter — and the last-minute search for keys — with these ideas for organizing your entry. Small, narrow and nonexistent entryways can be quite a challenge to set up. And keeping them neat is another matter altogether. If your entryway keeps getting cluttered despite your best intentions, perhaps it’s time to try something new. Here are seven tips to help outfit and maintain a tidy and clutter-free entry (even the nonexistent kind). 1. Make it inspiring. 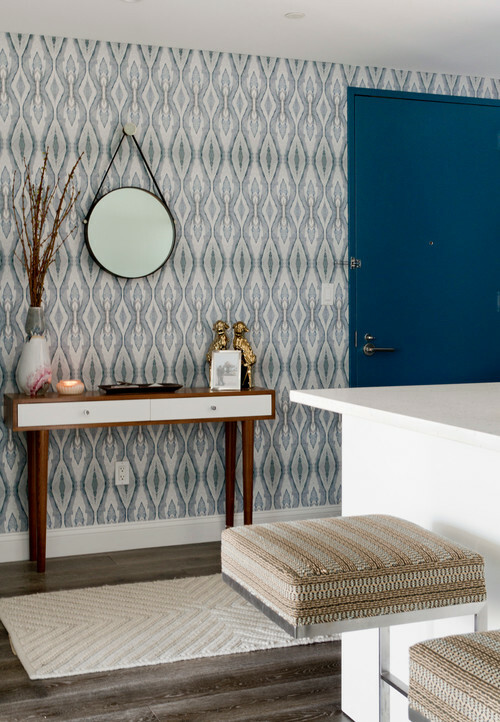 Creating a pleasing, stylish entry zone is one of the best ways to stay motivated to keep it neat and clean. Take the space shown here, for example: Without the wallpaper, artwork and snazzy owl umbrella holder, it would be a boring sliver of wall with a floating shelf. Wouldn’t you rather come home each day to a scene that makes you smile? Have a dog? Make a habit of tidying up each time you come back in from a walk. Sort mail and put away jackets while you wait for coffee to brew each morning. Straighten up the entry after you take out the garbage in the evening. 3. Avoid clutter creep with proper containers. Blank surfaces invite clutter to pile up and spread out. Avoid this phenomenon by providing a container for each type of item you need to set down when you enter the house: a dish for keys, a change bowl, a recycling basket, a mail tray and a coat hook. 4. Outfit a secondary doorway or space to boost storage possibilities. What to do if there simply isn’t enough room in the entry to keep all of your things? 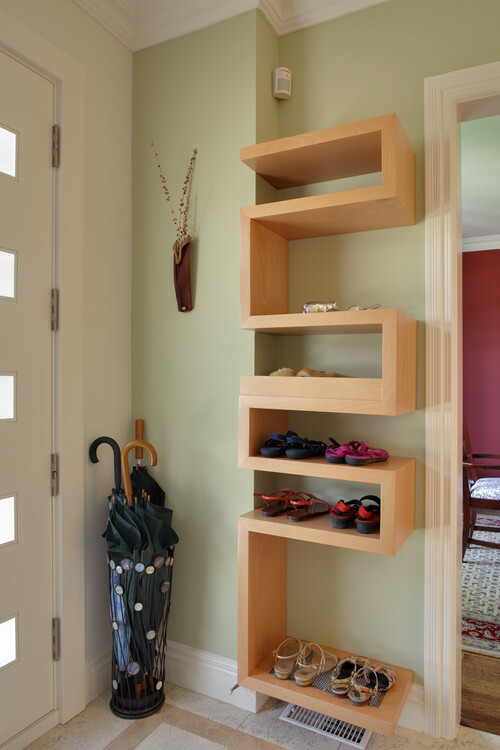 Choose a secondary storage area for bulky items that would otherwise clutter a small entry. If you have a closet or laundry room at the back of your home, or room near another door, use that as a drop zone. Install hooks, cupboards, shelves, a storage bench — all the things you wish you had room for at the front door. When you come home, place only a few essential items (like keys and a bag) by the front door, and walk everything else to your makeshift mudroom. It will undoubtedly take some time to get used to this practice, so make a point of following through every day for several weeks until it becomes a habit. Eclectic Entry by Toronto Interior Designers & Decorators Meghan Carter Design, Inc.
A variation on this idea is to place a piece of storage furniture, like a console table with drawers, chest or storage bench, in the room adjacent to your entry. In the space shown here, a few simple hooks are installed behind the front door for coats and scarves, but you have to walk into the living room to put the rest of your things down on a sleek console table. 5. Keep things off the floor. No matter your entryway situation, keeping things off the floor will help the area stay neat looking. If you are short on table space, use floating shelves and wall-mounted baskets to hold mail and other items. If you must store shoes and boots in the entry, get a boot tray or shoe shelf to contain them (and keep your floors clean). 6. Purchase something to fit your space perfectly, even if you rent. 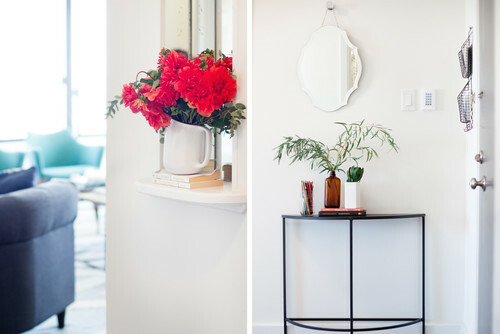 Though generally it’s a good idea to think long-term when purchasing for a rental, for the entryway you might want to make an exception. This one spot can make such a big difference in your daily experience of life at home that it can be worth tracking down a piece of furniture that fits your entry perfectly. In a narrow entry, a super slim console table with drawers for storage, like the one shown here, can be a huge help. Contemporary Entry by Toronto Architects & Building Designers PLANT Architect Inc. If you have only a sliver of wall and no secondary storage in which to hide shoes and things, look for wall-mounted shelving that will keep your stuff stylishly out of the way. Even if you don’t end up using the same piece in your next place, the small pleasure of coming home daily to a neat and orderly entry will surely feel worth it. 7. Invite guests over regularly. 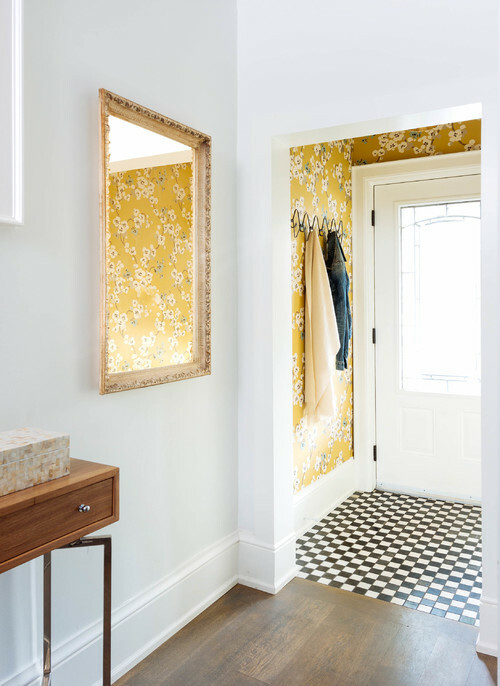 Capitalize on the last-minute cleanup you do before guests arrive by inviting people over more often — it’s a great excuse to keep your entryway in beautiful shape. 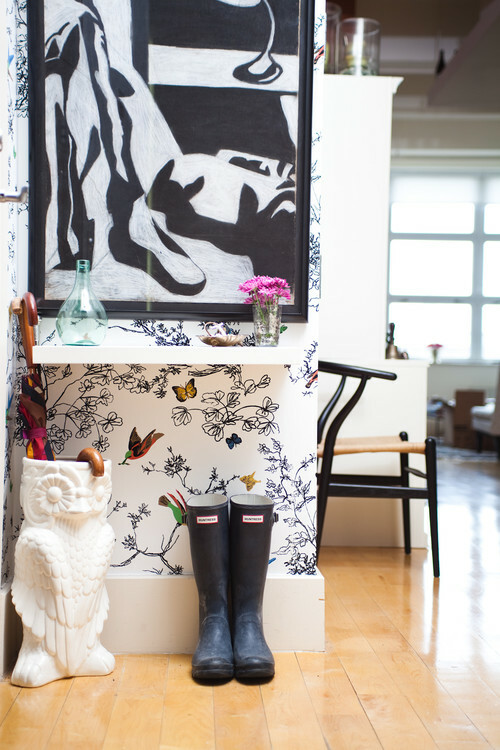 Tell us: What is the biggest storage or clutter challenge you face in your entryway?